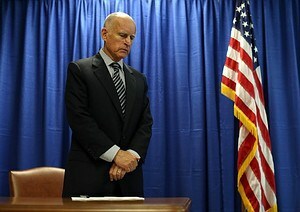 There are some areas of inconsistencies between Brown’s budget and his policy statements. In his combined inauguration and State of the State address, Brown said he wanted to increase the use of renewable electricity to 50 percent and increase alternative fuels in transportation. Those two programs are supposed to address fears about climate change, a central component of the Governor’s overall environmental policy. Those two programs will cost the State’s poor and disadvantaged more than the average resident, increase costs to schools and first responders, and may not actually reduce greenhouse gas emissions. Those policies have now been put into legislative proposals in the State Senate, as SB 350 and SB32. Both bills will hurt poor and disadvantaged communities and should be stopped. Lower-income customers spend a larger percentage of after-tax income on energy than higher-income customers. According to Bureau of Labor Statistics data, a household earning less than $10,000 spends 14% of its income on energy utilities, while a household earning over $70,000 spends just 2% of its income. The higher costs of electricity, from 20 to 30 percent, under a more aggressive renewables mandate is regressive and hardly representative of those who call for progressive compassion. As I recently reported on, in Assessing the Costs and Benefits of Renewable Portfolio Standards, costs can often exceed benefits from aggressive renewable development. The same holds true for Brown’s insistence on imposing cap and trade regulations on transportation fuels, expected to increase gasoline prices by 10 to over 75 cents a gallon. The renewables plan will also cost schools and fire departments. Schools use significant amounts of energy to light, heat and cool classrooms and in busses to transport students to and from school. Fire departments use diesel and gasoline in their rounds to protect lives and property. Using data from State Controller’s Office and district budget documents, I’ve calculated that these costs represent anywhere from about four to over eight percent of their budgets. A hiatus in the renewable program—rather than expansion– would save the equivalent of three firemen for small fire districts to over 1000 for a large school district like Los Angeles. In terms of balancing a budget it doesn’t matter if Brown budgets more revenues to schools or makes them pay less in operating costs. Fiscal conservatives and ethnic community leaders and teacher unions should all be supportive of holding off on calls for more expensive, and ultimately unreliable, renewables and alternative transportation fuels. The poor will have more in their pockets, school and fire districts will see some relief and no additional tax revenue will be required. Brown and Legislative leaders should abandon tightening renewable mandates and greenhouse gas restrictions and provide relief to the poor and the various districts that serve them. It’d be best to eliminate them all together, but at least don’t make them worse.